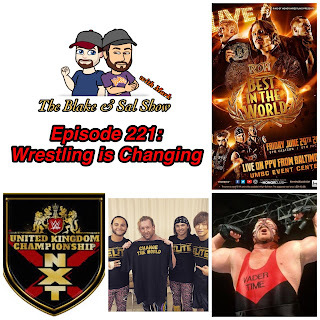 While Sal takes the week off doing heel things, Blake and Mark look back all the crazy wrestling news, with the passing of Leon White, Vader, the official announcements of new WWE network shows, #WWEonFox, break down the WWE United Kingdom Championship Tournament and the official debut of NXT UK and then finally preview ROH Best in the World 2018. Does Taylor Hall win the Hart Trophy? Is there is going to be a riot in Vegas if Gerard Gallant doesn't win the Jack Adams? What teams do the hosts just despise no matter how many years it's been? 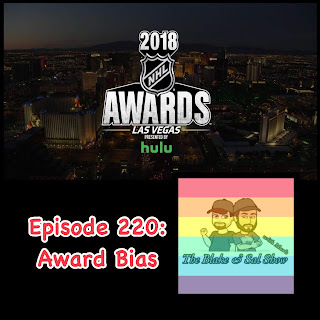 Find out the answers to those questions and more as Blake & Sal bring Mike on to do their annual preview of the NHL Awards. Chicago is home for two big shows and Blake & Sal are here to talk about them. 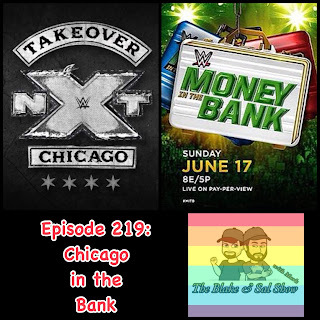 First they talk about NXT Takeover: Chicago II, headlined by Aleister Black vs. Lars Sullivan, Johnny Gargano vs. Tommaso Ciampa and Shayna Blazer vs. Nikki Cross, plus the guys go nuts over the Ricochet, Velveteen Dream feud. Then they look at the jam packed WWE Money in the Bank show, with two MITB ladder matches, AJ Styles vs. Shinsuke Nakamura, Nia Jax vs. Ronda Rousey and they discuss where they expect to see cash ins and what match should main event the show. 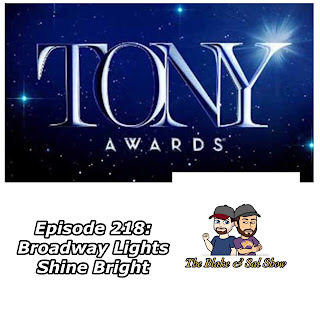 It's Tony Awards weekend and Blake brought in Matt Tamanini from BroadwayWorld to discuss and preview the show. Who will win more awards Angels in America or Harry Potter and the Cursed Child? Can Spongebob Squarepants or Mean Girls upset The Band's Visit? What happened with Frozen? We try to answer those questions and more in a very detailed and informed conversation about Broadway's biggest night. Blake is running solo this week to discuss his hometown Garfield, NJ. First there is a classic interview where Sal interviewed Hank Gola in 2015 about the 1939 National Championship Garfield Boilermakers and the history of the team. After that, Blake discusses his feelings and emotions being inducted in the Garfield High School Hall of Fame Class of 2018 as a member of the 1999 BPSL Championship football team. 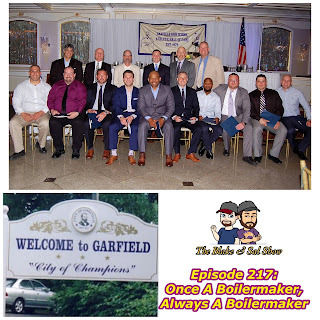 Finally, Blake sits down with Hank Gola again to discuss his new book, City of Champions, the meaning and history behind the phrase "Once A Boilermaker, Always A Boilermaker", Garfield's 100th anniversary and more history on the town. It's a cool listen even if you aren't from Garfield, enjoy!